Blocks and Bricks are both building materials, which can be used for the same purposes. However, the two have varied differences and similarities in terms of price, durability, choices, convenience, and their advantages over each other. In Ghana, the most common building material used is cement, which is employed right from the start to the finish of a construction work; i.e., in producing blocks. The price of a single block in Ghana now costs between Gh¢2.00 and Gh¢2.50p (73 – 91UScents), while the price of a brick is between 50 pesewas and 80 pesewas (18 – 29 UScents). Even so, in majority, if not all bidding documents, blocks remain the specified building material. Blocks are Primary Building Material…Why That? Amount of Blocks or Bricks Needed – The block sizes used are mainly the 6-inches for construction at the foundation level and the 5-inches for the building itself, while the brick; on the other hand; being smaller in size, a number of 6 pieces would be needed to make 1 single block. 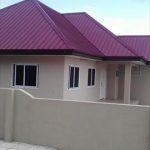 This sums up to the fact that more bricks would be required than blocks in building.Taking for instance, a case of building a standard 14 by 14 feet single room in Ghana; approximately, a number of 150 bags of cement, which is equivalent to 4,500 good quality blocks are needed as against a total of 27,000 bricks for the same kind of building. Moreover, one must also not forget that an amount of sand would be needed to be mixed with the cement in producing the blocks. Cost of Fuel/Cement – Most people believe that it may be expensive putting up a brick building because of the initial cost to be incurred as compared with the block building.In the case of brick, more fuel is needed for the entire production, which involves mixing, drying, firing and fabrication, including hand moulding. Consequently, more fuel would be needed for this kind of work, and this calls for more money, having its own repercussions on the pocket of the builder with respect to the rampant increase of fuel prices in Ghana lately. On April 01, 2014, fuel price saw an increase by 7%, leading to the automatic hikes in all petroleum products and other commodities. This is the third time of increase since the beginning of the year, when we are only in the first quarter.The block on the other hand, does not require much more input to be produced as in the case of the bricks. It involves moulding and drying. The challenge with producing blocks has got to do with the unstable prices of cement, which shot up from ¢18.00-20.00 ($6.5-$7) by the close of last year to Gh¢21.00- Gh¢25.00 ($7.67- $9), as of now. Labour Intensity – It is obvious that the labour force in brick building is greater than the labour force needed in block building. More workers would be needed in the brick case to undertake the various production processes of mixing, drying, firing and moulding; whereas only a few of the workers would be needed in the block building. 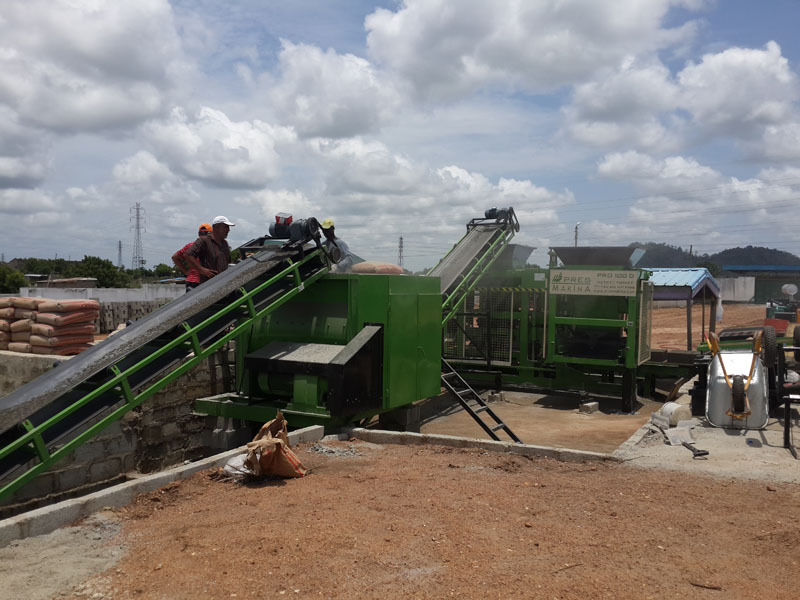 For instance, if 8 workers are needed in the brick production, with 2 of them taking up one of the production processes, equally, only 2 workers will be needed in the block production – one worker for the mixing and moulding, and the other for the drying. More workers simply mean more cash to pay them. Building Process – Obviously, the building process involved in both block and brick would be different, with the other requiring more people on board and using more time than the other. Bricks for instance, require more skills right from the production to the building, not to mention that they are smaller in size and also heavier, making it more difficult to be installed by few workers. This can cause a prolonged time of completion, meanwhile prices of goods and services would be going up. For the block, only a few people can handle the entire building process. Expensive Machines – The machines used in bricks production is undoubtedly more expensive than the machine used in producing blocks. Therefore, it is easy to raise money in acquiring a block-producing machine than that of the brick-producing. The high cost involved here has accounted for the non-usage of the bricks and scarcity of brick buildings in Ghana; however, the maintenance costs are as low. The bricks building do not need plastering and painting as would be needed in the block building. Also, when building in a water-logged area or on a wet land, bricks are the best choice the reason being that they are stronger and can absorb the water without collapsing, unlike the block building. Despite these conveniences and advantages, cement block remains builders’ first choice. This has brought about monopoly in building materials, making cement expensive with a bag of cement being now sold at Gh¢21.00 and in some areas of Accra at Gh¢25.00 ($7.67- $9). 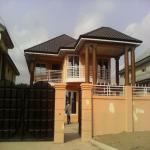 Inasmuch as a heavy budget is needed in putting up a brick or block building, their benefits are immense. Both building materials are strong, fire-resistant and insect-proof; raising them above other building materials such as the wood. All the same, in order to solve Ghana’s recurrent housing deficit, it is imperative that the government puts in more effort to build the capacity of the brick industry and review the construction policies, emphasizing on the use of more local materials such as the clay. Stakeholders must also endeavour to use local building materials in their construction works for everlasting building resistance.